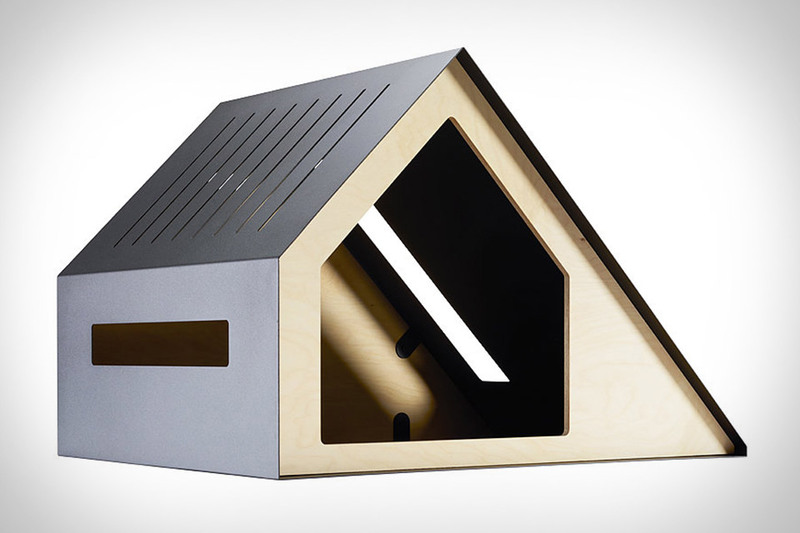 Give your pooch some shelter without making your house look like a PetCo with the Deauville Dog House. It apes the traditional dog house shape with an extended roofline on one side and is built from premium materials like powder coated steel that will stand up to years of use. There's also an elongated window for ventilation, and multiple slits in the roof to let in light. Poldo is known for its high-end canine outfits. Moncler is known for its down jackets and other sportswear. Moncler x Poldo Dog Apparel is a result of a collaboration between the two, bringing Italian style sensibilities to your pup's winter wardrobe. The collection includes a four-legged version of Moncler's signature nylon vests and jackets, as well as a knit sweater. Being a good fish owner means keeping their habitat clean. Make sure it happens on schedule without even getting your hands wet with the Moai Robotic Aquarium Cleaner. This roughly iPhone-sized robot uses an ultrasound navigation system to know where it is and where it's already cleaned. The electronics, including a built-in camera, sit on the outside of the tank and attach to the cleaning pad via powerful magnets. With built-in Wi-Fi, you can schedule cleanings, check in on things, and even capture 1080p HD video or time lapses right from your phone. Available in standard and Plus versions, the latter designed for use on thicker glass.